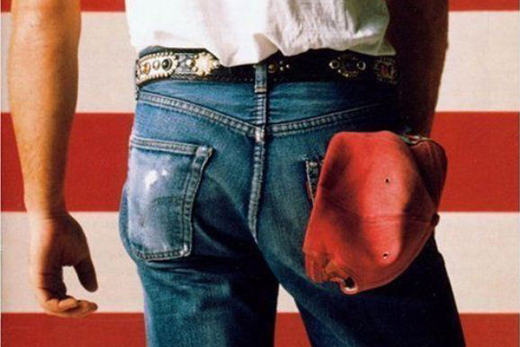 Even today, the meaning and message behind the lyrics of Bruce Springsteen's hit song, "Born in the USA," remain hotly debated. When readers open Gary Laderman’s new e-book, “American Civil Religion,” available for download now by Augsburg Fortress, they’ll find interspersed with the cogent text some classic multimedia moments that shaped the political and religious life of the nation. Because it’s an e-book, readers can make the leap from the ideas in Laderman’s text to the world where those ideas played out. Want to hear John F. Kennedy's thoughts on separation of church and state? Click on a YouTube clip of his 1960 speech to the Greater Houston Ministerial Association. Want to understand more about the power of Ronald Reagan's religion-inspired rhetoric to move a nation? Tap on a video of his farewell address from the Oval Office referring to America as "a shining city on a hill." Want to see and hear Bruce Springsteen's answer to the Reagan presidential campaign's misappropriation of his rock anthem "Born in the USA"? It's there, too. "There is a sense that we are entering a new world," says Laderman, an Emory professor of religion and American culture. His first e-book aims to bring American civil religion to life through descriptions, analysis, audio recordings, videos, images, texts and other genres and media. He says students and young readers expect it, and modern study of the humanities demands it. "In the very near future more educational institutions are going to be looking for more e-book selections and relying more on digital material and digital resources," he says. Classrooms will be equipped with iPads and Kindles, and text will interact with the digital world to provide a window to larger cultural issues, values and ideas. "But there's not a road map," for this kind of thinking and learning, says Laderman. "There aren't a lot of precedents for this kind of publication in the humanities and especially in religion." Laderman says he recognizes the "allure of the multimedia world we live in" and the need to provide a balance between the world of words and ideas and the world of images and impressions. "Part of that dance for me was I didn't want to overdo it and have the media overshadow the text of the ideas that are really still the driver," he says. "There is still a core purpose in writing books that translate expertise and knowledge into a broader and more public setting. That won't change." But the way that knowledge is delivered already has changed, and e-books such as Laderman's are only part of the digital future. This week Emory announced joining a consortium of leading American universities to launch Semester Online, a new online education program that will offer rigorous, for-credit undergraduate courses taught by top educators.